Charlotte is a hub for southern business, offering beautiful architecture and classic charm a stone’s throw away from the celebrated natural beauty of North Carolina. No matter your reason for choosing Charlotte as your new home, you’ll need a moving and storage company that has your back every step of the way. Luckily, Simonik Moving & Storage offers a wide range of customizable packing and transport solutions for anyone moving from NJ to Charlotte. Since 1977 we’ve carried a legacy of excellence that shines through in every aspect of our work, and we’re confident that you’ll love what our BBB accredited business can do for you. 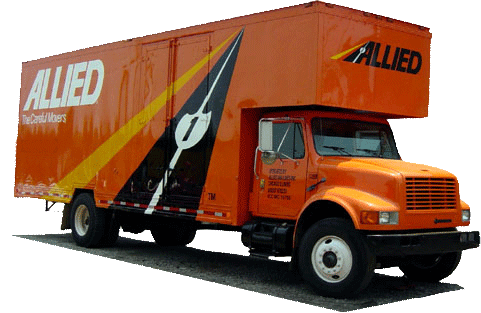 As an agent of Allied Van Lines, we have access to a nationwide network of moving and storage professionals that can get your items delivered to your new home in no time. Move-out and move-in dates aren’t always perfectly coordinated, and sometimes unpacking all of your items at once can be overwhelming. We offer storage services that combat that overwhelming post-move stress and keep your items safe and secure until you’re ready for them. We pack your items in shipping containers from the get-go, which means no unloading and reloading your items without your supervision. We can store these containers in our secure warehouse facility for any length of time, so you can rest easy knowing that you don’t have to unpack all at once during your New Jersey to Charlotte move. Families throughout North and Central New Jersey entrust their homes to our qualified movers. Whether you live in Hunterdon, Mercer, Middlesex, Monmouth, Morris or Somerset counties, we can help make your move from NJ to Charlotte a seamless one. As a ProMover member of the American Moving and Storage Association, few teams are as capable as Simonik when it comes to making your move from NJ to Charlotte quick and painless. Call Simonik Moving & Storage to discover a new way to move. Our NJ to Charlotte moving specialists are on the line, ready to answer your questions and schedule your in-home estimate. You can also fill out our online form now to get a free, no-obligation estimate for your upcoming relocation.